Novi, MI (January 25, 2018) Chameleon Power, the leader in photorealistic visualization technology for the building, remodeling and home décor industries, continues to expand its digital platforms for surfacing selection. The original 2D photographic visualization engine has transitioned into 3D, VR and AR immersive experiences. 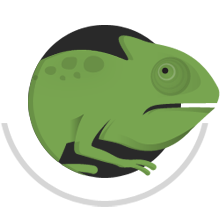 Chameleon Power technologies dramatically increase customer engagement, and make buyers comfortable with their decisions more quickly. Chameleon Power platforms are utilized by the leading suppliers and trade professionals in the flooring and surfacing industries. Chameleon Power software can be viewed at The International Surfaces Event, on January 30-31, by appointment.